Focus on improving execution capabilities and providing strategic decision-support with breakthrough results. From Implementation of PMO, Strategic Initiatives and Programs to Performance Management, Risk Assessments, Governance Frameworks and Organizational Change management. As the leading PMO firm we have been providing subject-matter expertise, research, tools and best practices for over ten years. Our Next Generation DNA of the PMO framework is being implemented in many companies worldwide. PMO is our core subject matter expertise and we offer a full-range of PMO solutions. Implementation of Portfolio Management with a combination of processes, tools and practices for project selection and prioritization, portfolio evaluation, balance and reporting. Read more about our Portfolio Management engagements. Learn more about our engagement approach to portfolio management in the article - Selecting the Right Projects, Requires the Right Approach. From managing the entire project lifecycle to assisting in individual phases we provide expert resources, staffing and next generation tools, techniques and processes for - Project Selection; Planning, Execution and Monitoring, Risk Management; Change Management; Forecasting and Estimation and Transition Management. Strategic Risk Assessments focus on anticipating what can wrong, deciding what is important, devising a plan to take actions, tracking actions and integrating activities. Our experts in risk management assess your risk tolerance and help in shaping risks and exploiting your ability to bear risks both in individual projects and large programs. Besides time, cost and scope we approach risks from multiple perspectives, including, business, economic, political, cultural, change, environmental and legal aspects. How do you assess and recover a high value project that is rapidly going south and the issue list is multiplying? Time is of the essence to stop the bleeding. We utilize a tried and tested approach to rapidly assess and recover troubled projects. By performing triage and re-prioritizing to focus on delivering key business objectives. Read more about our Rapid Assessment and Recovery engagements. Many organizations are going through the challenge of taking project management to the next level by implementing program management. Even though more and more projects are being delivered on-time and within budget, their benefits are not necessarily being realized due to systemic organizational barriers and a lack of a program approach. We help in identifying the need and value for program management. We help in adapting and customizing a program management lifecycle and methodology appropriate for your organization. Our innovative program management training program and executive briefings help in creating awareness and cultivating a ‘programmatic’ approach to maximize program benefits and business value. Read more about our Program Management engagements. You wish you could get a better handle of how your projects are doing. You have a bunch of projects that do not follow any standards It is hard to prioritize and focus on the important initiatives. You wish there would be one place you can rely on for project information and someone would be available to assist you? Of course you need a PMO, but based on your size and resources it is hard to justify a full-scale in-house PMO. Our Outsourced PMO Service is specially designed for medium and small businesses to establish an outsourced virtual PMO – providing a full-range of PMO services including, PM processes, tools, templates, project assistance, reporting, training, coaching and mentoring. Certified OPM3 assessments and improvement planning. We have successfully conducted OPM3 for large government as well as corporate organizations. We enhance the assessment with our complementary PM diagnostics. We marry our next generation PMO maturity continuum with OPM3 to get the best possible assessment results and improvement planning. We also offer a diagnostic suite of assessments to organization that are serious about improving and maturing PM capabilities - PM Environment; Project Manager Competency; PM Process and PMO Assessments. Customized methodology assessment, design, development, implementation and training. Our approach is based on methodologies that provide rigor, but without rigidity. We rely on standard PMI PM processes and marry them with specific product or systems development lifecycle methodologies appropriate to your environment and culture. We utilize a collaborative approach to probe your project environment and focus on co-development to seek buy-in and acceptance of standards. 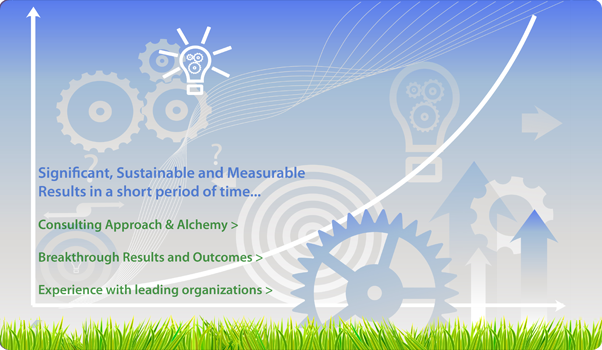 Read more about our methodology engagements. 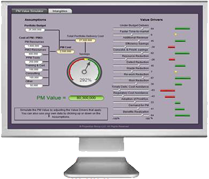 Projectize Framework provides the capability to harness PM lessons learned and best practices – it is a ready-to-use knowledgebase with tools, templates, best practices and lessons learned. The Projectize knowledgebase can be integrated into the project management community and combined with company specific content to provide a valuable resource. Find out more about Projectize Framework. More and more companies are implementing CoPs. They are also challenged with - How to maintain the momentum and sustain CoPs? How to engage people to volunteer and contribute when they already have too much on their plate? We have experience and insights in how to get started, as well as address the challenges to sustain CoPs. We have developed a methodology for initiating and implementing physical and virtual communities that can be adapted and customized for your environment. Learn more about a Community based PMO. Every organization has multiple reports and measures, but few measure what matters. Do your reports, dashboards and scorecards provide meaningful and actionable information and transparency? We review existing reporting processes, systems and outputs and developed a comprehensive Performance Scorecard, Project Reporting Templates and PMO Dashboards. Read more about how we trimmed 30% of existing reports. Is your organization ready to absorb and adapt change? On-time, on-budget delivery is only half the battle. To realize benefits, end-users and customers have to adopt and use the new systems, products or services delivered by projects and programs. We provide Organizational Change Readiness assessment and planning, complemented with change awareness training and absorption workshops. Read more about our Change Management engagements. Learn more about How to Change Behavior. Experienced facilitators to provide third party, neutral facilitation using proven facilitation techniques for project launch, kickoff, project visioning, scoping, requirements gathering, planning, project post-mortems and more.